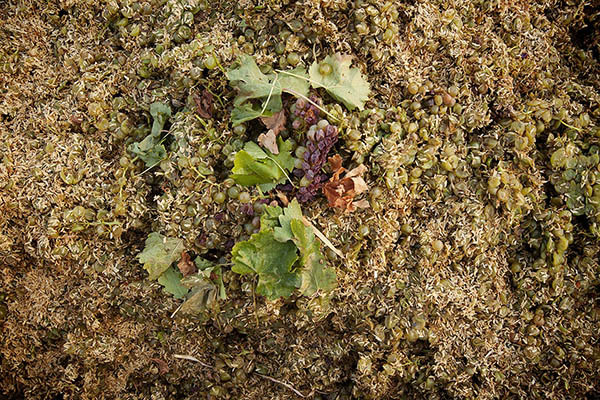 Following harvest, the grapes are de-stemmed and dropped into fermentation tanks and treated with a bit of sulfur dioxide, which inhibits spoilage microorganisms. Yeast culture and necessary nutrients for complete fermentation are added and the must (unfermented grape juice and skins) begins to ferment away rapidly. Keep the fermentation fed with oxygen, as the yeast require oxygen to reproduce and do their job. 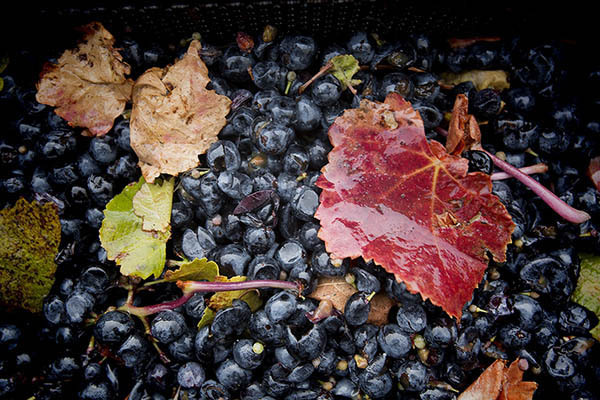 Extract the color from the skins and completely ferment all the sugar from the grape. Temperature and density (the must decreases in density as sugar converts to alcohol) are monitored daily and when the must has finished fermenting it is loaded into the press. Grapes are loaded as whole clusters straight into the press. Pressing is accomplished over many cycles to push the wine from the skins. 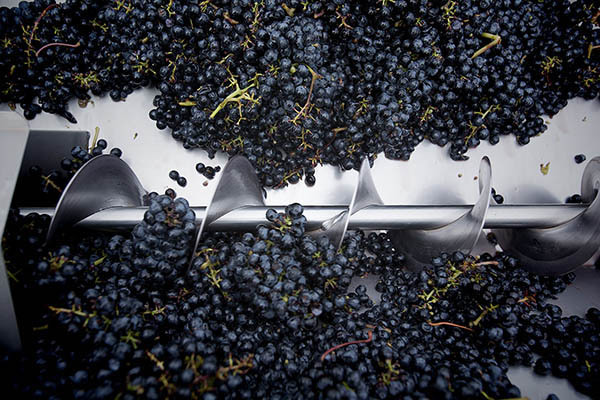 We press gently and painstakingly to extract only the best juice, and leave behind any harsh tannins or excessive color from the skins and seeds. The must is pumped into a settling tank for a day or two before being racked (transferred) to either a fresh tank or into oak barrels for fermentation. Yeast culture and necessary nutrients for complete fermentation are added and the must begins to proceed through fermentation. Once in barrel, the wine goes through a “secondary fermentation.” This is called malolactic fermentation and involves the conversion of malic acid (green apple taste) to lactic acid (milk, cream taste.) Although a natural phenomenon, we add malolactic culture to ensure that the secondary fermentation occurs without a hitch. When malolactic fermentation is complete, the wine is racked into a tank, sulfur dioxide is added again to protect the finished wine from oxidation, spoilage bacteria and microorganisms. It is then racked back into clean barrels. From here until bottling, the wine may be racked another 1-3 times in order to help clarify and usher it along. The wine stays in tank or barrel for 4-5 months, before sterile filtration to clarify and remove all yeast and bacteria and then bottled. 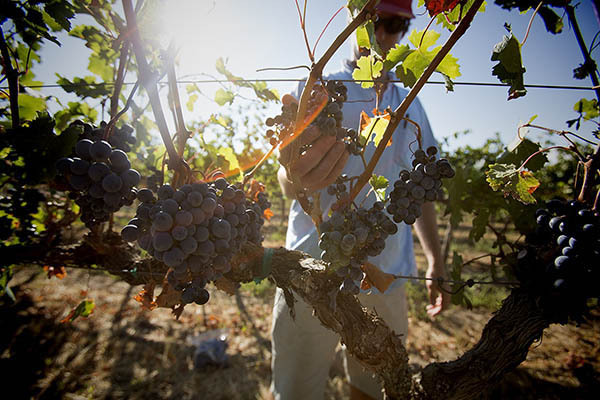 A few months before bottling, all wines are tasted and evaluated for quality, and the separate wines are blended individually to create the final wines for bottling. Following a light filtration for clarification, we bottle the wines using a semi automated/semi Henry Ford style bottling line.